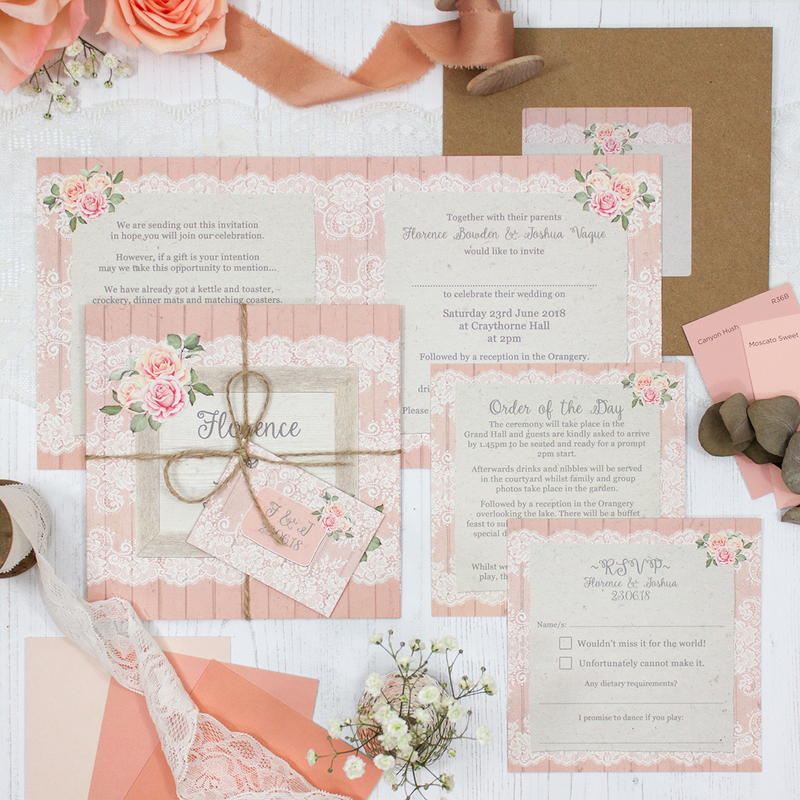 Wedding invitation sample pack including an RSVP, info card, string and tag, envelope and label in the Coral Haze Collection design. Beautiful spray roses in tones of coral, peach and soft pink. Inspired after a visit to a blooming rose garden with the most heavenly scent in the air. Each one unique and individual and their own burst of beautiful. 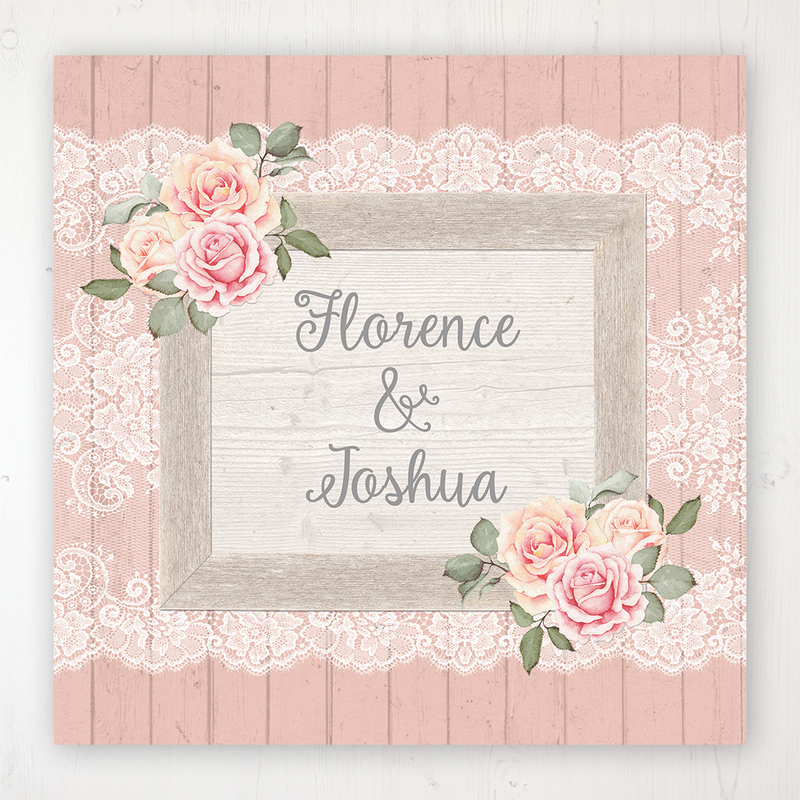 This collection would be perfect for a summer garden wedding theme.